That little "a" with a circle curling around it that is found in email addresses is most commonly referred to as the "at" symbol. Surprisingly though, there is no official, universal name for this sign. There are dozens of strange terms to describe the "@" symbol. Before it became the standard symbol for electronic mail, the "@" symbol was used to represent the cost or weight of something. For instance, if you purchased 6 apples, you might write it as 6 apples "@" $1.10 each. With the introduction of e-mail came the popularity of the "@" symbol. 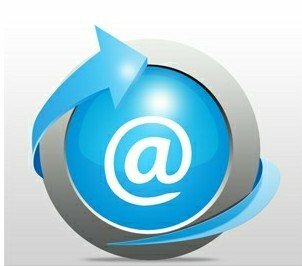 The "@" symbol or the "at sign" separates a person's online user name from his mail server address. For instance, joe@uselessknowledge.com. Its widespread use on the Internet made it necessary to put this symbol on keyboards in other countries that have never seen or used the symbol before. As a result, there is really no official name for this symbol. The actual origin of the "@" symbol remains an enigma. History tells us that the "@" symbol stemmed from the tired hands of the medieval monks. During the Middle Ages before the invention of printing presses, every letter of a word had to be painstakingly transcribed by hand for each copy of a published book. The monks that performed these long, tedious copying duties looked for ways to reduce the number of individual strokes per word for common words. Although the word "at" is quite short to begin with, it was a common enough word in texts and documents that medieval monks thought it would be quicker and easier to shorten the word "at" even more. As a result, the monks looped the "t" around the "a" and created it into a circle-eliminating two strokes of the pen.